Sound like a lot? It took more than six years to get to that point. Toyota sold 267,000 Camrys in the last eight months. Honda Crosstour volume, meanwhile, just passed the 100,000-unit all-time mark in February. American Honda hasn't sold more than 1000 Venzas in a single month since August of last year. Annual Crosstour volume declined in 2011, 2013, and 2011. The 100,932 Crosstours sold since 2009 pale in comparison to the 100,234 Accords sold in the last four months. Clearly then, the popularity contest favours the Venza. But both models failed miserably in the United States, and announcements that both would be discontinued before the 2016 model year were released over the last few weeks. Collusion? Most definitely. If by collusion you mean Toyota and Honda worked secretly together to fail miserably at the Subaru Outback's game. The Venza outsold the Crosstour by 18,470 units in 2010, by 2.2-to-1 in 2011, by 2.1-to-1 in 2012 and 2013, and 2.5-to-1 in 2014. And what about that Subaru Outback? 423,300 have been sold in the United States in the last 40 months. 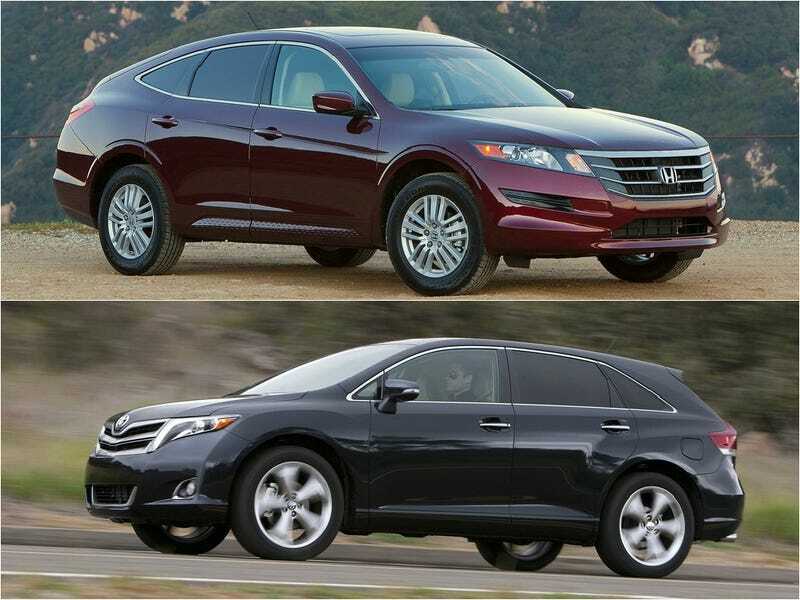 The Venza and Crosstour ranked 126th (behind the Prius V) and 184th (behind the Fiat 500L), respectively, among all new vehicle nameplates in 2014. The Outback ranked 35th, ahead of the vast majority of new vehicle nameplates.